Obituary for Linda Mae (Bloom) Myers | Myers - Somers Funeral Home, Inc.
Linda Mae Myers, 77 of Altoona died early Tuesday morning June 19, 2018 at Hillview Healthcare & Rehabilitation Center. She was born February 2, 1941 in Altoona a daughter of the late James and Lorraine E. (Sinclair) Bloom. She married Marlin R. “Hank” Myers on June 5, 1971 at First Lutheran Church, Altoona. He preceded her in death July 24, 2013. Surviving are a sister Trudy Ivory and her husband Paul of Ashville, PA; nephew James Ivory; nephew Mark Ivory and his wife Danya; niece Andrea Harper and her husband Taylor; two great nieces and four great nephews. 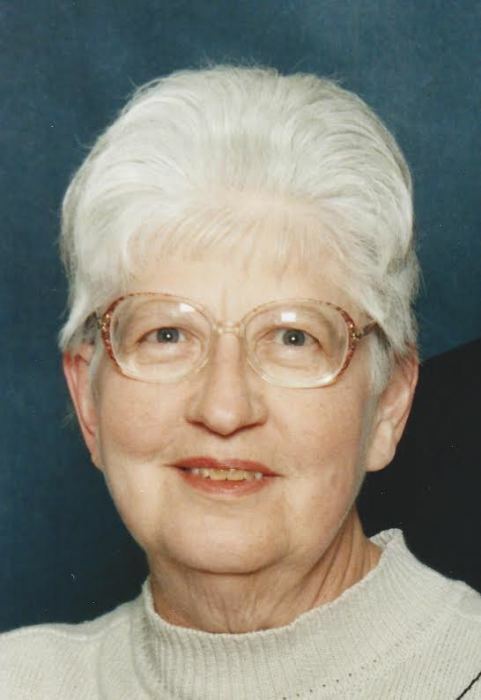 Mrs. Myers was a member of Bethany Lutheran Church, Altoona. She was a 1959 graduate of B. C. I. High School in Coalport and attended classes for two years at the Altoona School of Commerce. Linda retired in 1996 as a secretary from the advertising department of the Altoona Mirror with twenty-seven years’ service. She previously worked at Gables for nine years. She enjoyed her cats and traveling. Friends will be received from 10:00 a.m. 12:00 p.m. on Saturday June 23, 2018 at Myers-Somers Funeral Home, Inc., 501 Sixth Avenue, Altoona where a funeral service will be held at 12:00 p.m. with Pastor Drew McCaffrey officiating. Interment will be made at Fairview Cemetery, LaJose, PA. In lieu of flowers, the family suggests memorial donations be made to Bethany Lutheran Church, 200 Third Avenue, Altoona, PA 16602 or to the Central Pennsylvania Humane Society, 1837 East Pleasant Valley Boulevard, Altoona, PA 16602.